The United Nations Educational, Scientific and Cultural Organization (UNESCO) has published a report on the deterioration of the situation with the protection of cultural heritage in the annexed Crimea. The document of UNESCO indicates the facts of violations by the occupation authorities in the field of protection of cultural heritage. In particular, the facts of the "reconstruction" of the Khan Palace in Bakhchysarai are cited, which threaten its complete destruction. UNESCO noted that the invaders conduct illegal archaeological excavations on the territory of the occupied peninsula and export artifacts, which is in fact a theft. In addition, the report cites facts of human rights violations in the Crimea and recalls the need to implement the UN General Assembly resolution on the Crimea "The situation with human rights in the Autonomous Republic of Crimea and the city of Sevastopol (Ukraine)". 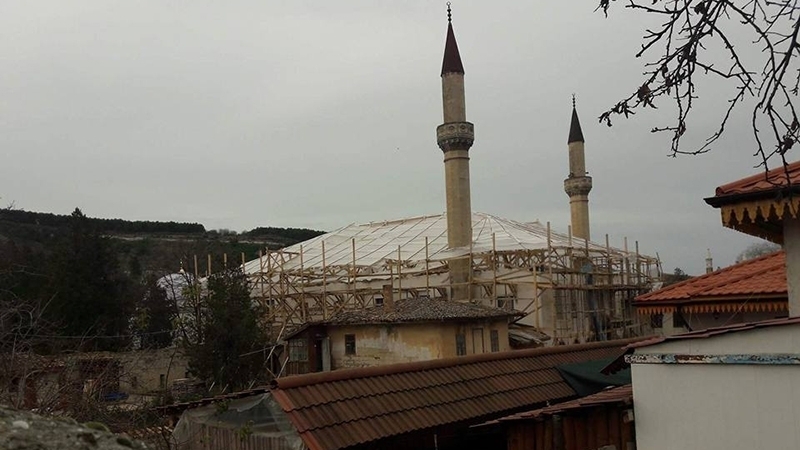 QHA reported that the so-called "restoration" of the Khan Palace in Bakhchysarai is continuing in the occupied Crimea. Former head of the Republican Committee of the ARC for Interethnic Relations and Deported Citizens, a delegate of the Qurultay of the Crimean Tatar people Edem Dudakov stated that invaders installed and propped up the scaffolds right on the mural of the 18th century on the eastern facade of Han Cami (from the side of Sara Gul Hammam). Earlier, a lawyer and human rights activist Rustem Kemilev filed an application to the Main Investigation Department of the Criminal Investigation Service of the Russian Federation in the occupied Crimea on the criminal destruction of the Khan Palace in Bakhchysarai under the guise of restoration. Kemilev noted that during the "restoration work" elements of cultural heritage - wooden roof structures, joists, cross beams - are destroyed.